HONG KONG, CHINA- Media OutReach -21 January 2019- The West Kowloon Cultural District Authority (WKCDA) announced the opening of the first landmark performing arts venue, the Xiqu Centre, at the West Kowloon Cultural District on 20 January 2019. Conveniently located at the junction of Canton Road and Austin Road West in Tsim Sha Tsui, the Xiqu Centre is designed to be a world-class platform for the promotion and development of Cantonese opera and other genres of xiqu (Chinese traditional theatre). Dr Peter Lam, Chairman of the Hong Kong Tourism Board said, "Hong Kong offers a mix of new and old culture, and xiqu, which is on the UNESCO Representative List of the Intangible Cultural Heritage of Humanity, plays a pivotal role in heightening Hong Kong's destination charm. The opening of the Xiqu Centre will also mark a big leap forward in establishing Hong Kong as an international arts and cultural hub, expanding the city's appeal to a wider audience." 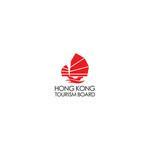 For details, please visit ( https://www.westkowloon.hk ).